Earn $25 Just by joining! New affiliates receive $25 in their account instantly! 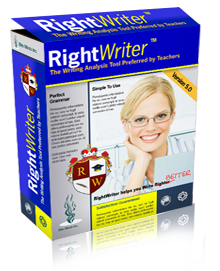 Do you have a website where you can promote RightWriter? How would you like to be paid for every item that is sold when someone clicks on a link from your site? It is very easy and it is called an Affiliate Program. It is very easy to make money as an affiliate especially if you have a website with many visitors. Post a link or image from below to your site. We send payments by PayPal every month to you(Jrox system) or Clickbank sends payments directly to you if you use their service. When you use the special link that is generated in your account, our affiliate software places a cookie on the computer of the person who clicks the link on your site. If that person then makes a purchase, our affiliate system knows you sent that customer to us and your account is automatically credited for the sale. If that customer does not buy but returns within 60 days, you still receive the full commission payment. I know setting up a new affiliate account can seem like a hassle sometimes. If you have not used the Jrox system before, it is very easy. Hey, if you dont want to figure it out, just setup an account then email and I will figure out the link you need to use and send it to you. You can also find links in your account. Of course, the total payment depends on the traffic to your website and how many people actually click the link and purchase. The current payment is shown below for each product category. If the payment was 50%, that means if a $50 sale is made, you make $25. We may adjust the commission rate in the future but it will always be favorable to affiliates because we want to keep our affiliates happy. If you have any questions or concerns you can reach me through the Help Desk. I am open to suggestions and ideas from other marketers on improving the website, offers, and products that are sold through affiliates. Impressive 40% commission on every sale through our Jrox affiliate system, because as an affiliate marketer myself, I know what it is like to earn measily 10% commissions for loads of work. And a 40% commission for Clickbank sales. 60 day tracking system, even if a customer comes back two months later, you will get credit for it. Checks are cut every two weeks by Clickbank, or we PayPal every month for the Jrox system. The best tracking software in the industry, as it is run through ClickBank or Jrox. 100% Free to sign up, with no minimum sales quotas, No risk to you at all. It only takes minutes to start earning commissions. We have many affiliate opportunities and if you sell 3 $47 products per day a day, this would be $20,586.00 a year, that's a full time income! Converts in many different niches, education, college, high-school, writers, reporters, bloggers, seniors, self-improvement centric people, and business people. You do not have to ship anything or deal with any customers. We take care of that. Our price is lower than any competing product in the same class which makes a sale much easier to close. Your site visitors may balk at paying $50 or $100+ for software, but our lower cost makes conversions higher. Your custom Jrox links can be found in your affiliate account after you signup. These links will have your affiliate ID so we can identify sales that belong to users who click through from your site. If you want to use Clickbank, see the orange box below. Place this Flash Video on your webiste(522k). If you would like a custom version that has your affiliate link embedded, please contact us. You can use the following links on your site. Replace eliteminds with the user ID that you create when you setup your ClickBank Account. When someone clicks on this link and purchases a product through the ClickBank site, you get paid. 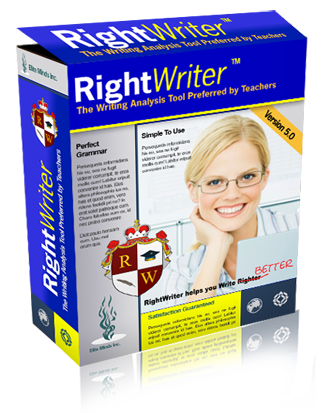 Copy and paste this link into your website to promote the Right-Writer software by download using Clickbank. You MUST use the zz=rw at the end, otherwise the link will not open the correct page. Replace 'eliteminds' in the link below with your clickbank ID. Use any of the above banners with your link. If you have questions, you can reach us through the support system. Placing links on your website and going out of your way to recommend or review the product. If you actually recommend this product to your visitors, the conversion rates can easily double or triple. Recommend the product (It is worth mentioning twice because your regular site visitors will trust your recommendation) as part of a self improvement or profit making idea of your own or give an example of how the product helped you. Any other method you can think of that produces results.